A tarotscope is a horoscope that uses tarot cards to guide the astrological divination and help focus it for the reader. 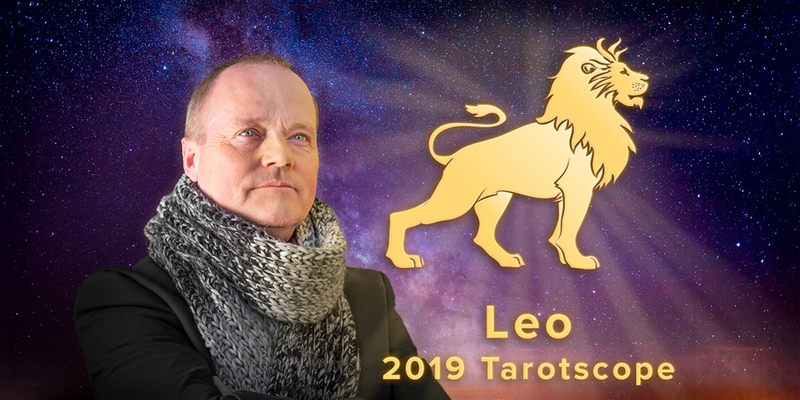 Here I’ve pulled three cards to illuminate what’s coming up in 2019 for Leo. The Wheel of fortune tells of new beginnings which is quite apt for the beginning of the year. Long held dreams are beginning to come into sight. All the hard work you have done in the past is now starting to show fruit. It could be that there are new doors opening, and that is reason enough to be excited. Change can be a little uncomfortable at first, but once it settles you will see it was meant to be. The middle part of the year is where a Leo needs to be putting their plans into action. Don’t worry if they are not appreciated by everyone around. The only one you need to please is you. Others may not appreciate your ideas because they are not in your shoes and can’t see it from your angle. All that is important is that you believe in yourself. Never allow anyone to undermine your efforts. You will come out on top shining like the star that you are. The closing of the year sees that you will have made much ground if you stay on course during the year. Others will be interested in how you are doing and how you managed to do it. Even those who doubted your tactics will now have to come on board and accept that you know what your doing. A long-held dream is now within grasping distance if you stick with it. Help will be easy to get as they will be all too curious about your methods. The year opens like twelve blank pages that you have yet to write a story in, Leo. You make the choices while destiny and the universe will deliver the opportunities to enable you to do so. Opportunity is no good without action. For the middle few months, you will be able to make the most of the opportunities by putting in the work required. It doesn’t matter if it’s physical, emotional or spiritual, the summers suns energy gives you the fuel for the journey. This is when you can do your best thinking. The work pays off at the end of the year Leo, and you will see how far you have come when you take time to look over your shoulder and see where you were a year ago. You know you can handle anything that comes your way. From all us here is 7th sense psychics, have an amazing new year in 2019. You are the Lion or Lioness of the zodiac. Always helping and looking out for others. This year when life’s little troubles cross your path, allow us at 7th sense psychics to be the one who helps you.